LONDON: Pakistan Government has offered all amenities and facilities to Sikh community based in the UK and rest of the world to invest in Kartarpur Corridor and make the area between Kartarpur and Nankana sahib unprecedented and historic. The offer was made by visiting Governor of Punjab, Choudhry M. Sarwar while talking to Sikh community at Guru Gobind Singh Sabha in Southall, West London on Thursday. “The opening of Corridor after 70 years is splendid and we feel the heart-touching sentiments and pleasing moments of Sikh community at this affectionate occasion”, he emphasised. “Sikhs are our brothers and sisters, Pakistan is already supporting and helping them and taking extra care to look after the Gurdawaras in all over the country, especially the Nankana Saheb”, he stated. Ch. M. Sarwar also appreciated the gesture of Indian Government and said that this would not have had happened if Delhi would not have expressed reciprocal response. Both the countries have set the foundation of goodwill and friendship and the opening of the Corridor is infact the fulfilling the wishes of 120 million Sikh community. 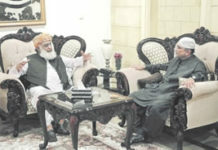 “The expenses are unlimited and the Pakistan Government will meet all expenses of development of both religious places and connecting corridor. The opening of corridor is triumph of Baba Guru Nanak who is the leader not only of Sikh community but also of Muslims and Hindus as he is the leader of international repute”, he added. 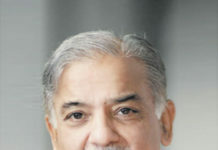 “We would like to develop Nankana Sahib and Kartarpur on the same level and pattern so the younger and future generation should not feel any difference between the two holy places. There is no shortage of land in Nakana Saheb so I personally and on behalf of Pakistan Government invite the Sikh community based in Britain and other countries to invest in educational, hotel and business industries. Thus they can serve their own community and simultaneously can also avail huge profit out of their investments”, Governor Punjab offered. “I wish to establish Guru Nanak University in Nankana Saheb to spread the teachings of Baba Guru Nanak. We shall celebrate his 550th anniversary in befitting manner and I shall spend the whole day there as it would be a memorable and remarkable day”, Choudhary Sarwar added promising to meet all suggestions and genuine demands of Sikh community including the visa extension from two to four weeks and increase in quota of pilgrims on emergency basis. Gurmail Singh Malhi (President, Sri Guru Gobind Singh Sabha, Southall) and Cllr. Sohan Sigh Samra (Vice President) and other Sikh leaders expressed gratitude to Ch. M. Sarwar for his offer and promised that the Sikh community as a whole will support every project aimed to serve these two places. “This corridor will bring Sikh nation and Pakistan more closely”, they commented. Members of Sikh and Pakistani communities were present at the occasion in a large number. The prominent figures from Sikh community who were present at the occasion were including Sardar Bajit Singh Malhi, Dr. P.B. Singh Johal (Trustee), Dr. Rami Ranger CBE, Sardar Taljit Singh Bath, Sardar Janwant Singh, Cllr. Rajinder Singh Mann, Cllr. Kamaljit Singh Dhinsa, Cllr. Gurmeet Mann, Bibi Kamaljit Kaur, Bibi Tej Kaur Grewal, Sardar Swaran Singh Kang, Cllr. Swaran Singh Padda, Saleem Sheikh, Zahida Abbas Noori and others. Previous articleWhere there is smoke there is fire!